Sometimes it feels like everything hits at once. Stress at work combines with stress at home and leaves you feeling absolutely overwhelmed. When you lie in bed at night you feel anxious and worried rather than relaxed and peaceful. Remind yourself that no matter what kind of stress you’re dealing with, the feeling is natural and more important, temporary. This is a bump in the road rather than the edge of a cliff. Stress impacts you physically. Your heart rate and body temperature elevate and you begin to breathe faster as adrenaline courses through your veins. Unfortunately, these are the exact opposite conditions you need to sleep. Soothe your body by taking deep breaths, focusing on positive thoughts, and practicing muscle relaxation techniques. Stress often encourages us to consume foods and drinks that only increase our stress levels – caffeine, alcohol, and unhealthy snacks. That causes you to go to bed either wired up or sick to your stomach. You will feel a lot better both physically and emotionally if you avoid treating your stress with your diet. Exercise just might be the best stress reliever there is. It’s low cost, good for both the body and mind, effective, and a supporter of quality sleep. Try to get into a regular exercise routine to help deal with the daily stress of life and burn off some energy before bed at the same time. Stress and sleep have a complicated relationship. Stress makes sleep harder, but sleep is a great cure for stress. Frustrating experiences are a lot easier to manage when you wake up feeling rested and refreshed. In times when you are under a lot of stress, try scheduling more time for sleep into each day. 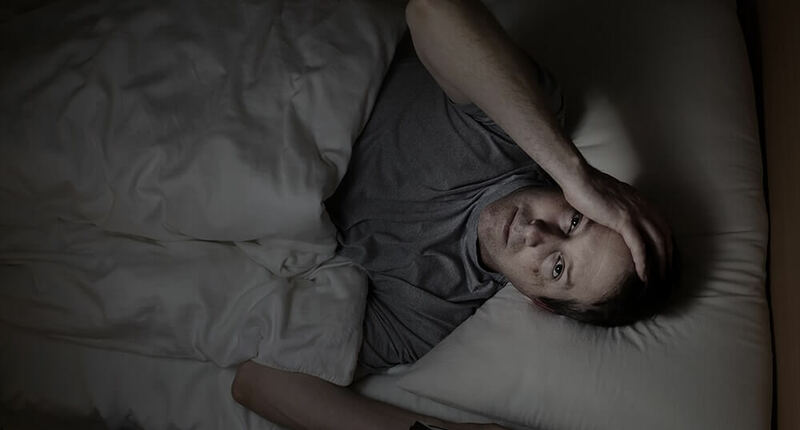 Stress is an unavoidable part of life, but bad sleep shouldn’t have to be. Make sure you’re primed to get a complete night of rest by lying on the best mattress possible. With the right levels of comfort and support, the pressures of the day quickly melt away. Begin to explore your options by consulting our complimentary ebook.